This is a must-read if you are thinking about buying a fixer upper. 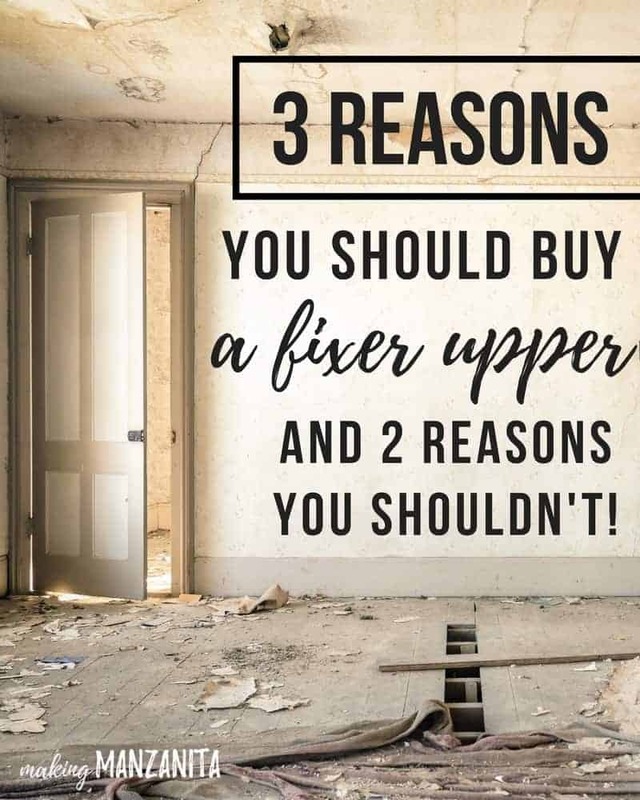 Here’s 3 reasons you should buy a fixer upper….and 2 reasons you shouldn’t because buying a fixer upper is not for everyone. Are you thinking about buying a home soon? Home ownership definitely comes with pros and cons, but it may something that you are longing for. The pride of home ownership is almost irreplaceable. There are several reasons why you may be considering buying a fixer upper… and it’s totally okay if one of those reasons is “because Chip and JoJo do it”. 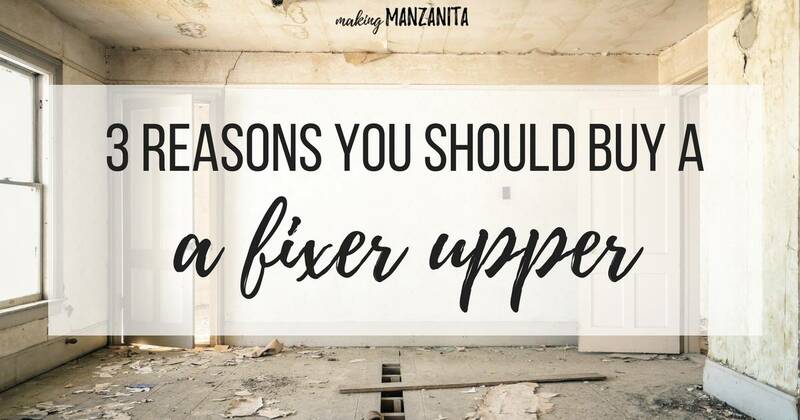 Buying a fixer upper is not for everyone though, so in addition to giving you 3 reasons you should buy a fixer upper – I’m also going to share 2 reasons you shouldn’t buy a fixer upper. 1. You will build sweat equity with a fixer upper. Have you ever heard of sweat equity? It’s awesome and horrible all at the same time. By horrible, I just mean that it is HARD WORK. The concept is simple. The renovations you do will add value to your home, right? By fixing things yourself on your fixer upper, you will literally be building equity in your home through your sweat. Sure, you build equity by paying your mortgage payments. But the equity you build by paying your mortgage payments is very slow moving. When you are paying your mortgage, you start by paying mostly interest and just a little bit of principle. The amortization (which means how your payments are split up) of your loan is explained better here. It takes years to build up equity this way. But, DIYing your renovations is a relatively quick way to build equity in a fixer upper. You can the equity as soon as it is finished. 2. You can make a fixer upper your own. One of the primary reasons we wanted to buy a fixer upper was the ability to make it our own. Check out the rest of the reasons we decided to buy a house here. Do you always find yourself saying….”if only I could just knock this wall down” or “I’d love to paint this room”. After we purchased our fixer upper, we’ve had the ability to make a bunch of renovations on our home, like transforming our boring master bathroom into a farmhouse style bathroom that I love! We were both craving to DIY and personalize our home to make it our own and we’ve definitely been able to do that with a fixer upper. 3. Financing rates and terms are favorable. We’re pretty fortunate. The access to financing is fairly easy now. Interest rates are still very low and loan terms are favorable. But, however good the debt terms are, you may find that home prices are rising where you live. That’s definitely been happening lately in Central Oregon. 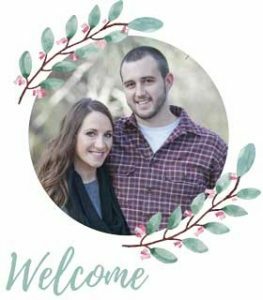 Purchasing a fixer upper is a great way to still get into home ownership when the overall prices in your area are higher than your budget…On a side note and a little plug for our family, if you’re looking for a Realtor in Central Oregon that definitely understands fixer uppers, I hear my hubby is pretty awesome ;). You can find him over at Manzanita Realty Group or just reach out to me and I can put you in contact with him. He can chat with you specifically about your situation and talk through all the reasons you should buy a fixer upper (or shouldn’t!). But, are fixer uppers for everyone?? You can see that there are many good reasons you should buy a fixer upper. However, fixer uppers aren’t a good fit for everyone. Here’s 2 reasons you shouldn’t buy a fixer upper. You want a move in ready home. If you want everything to be perfect in your house the day you move in, buying a fixer upper is probably not for you. The joys of home ownership will start from day 1 (even if you buy a new construction home), but fixer uppers come with a whole host of other issues. You don’t want to DIY. The fun part of buying a fixer upper are the DIYs that you can do. Remember that little thing called sweat equity I mentioned earlier? If you are not willing to DIY any improvements or renovations, I wouldn’t really recommend buying a fixer upper. Yes, you can certainly hire out a lot of the work, but the incremental costs of that will cost a pretty penny. If you are thinking about buying a home, a fixer upper may be right for you. With the favorable interest rates and loan programs available right now, it’s a great time to think about buying a fixer upper. You will have the ability to instantly build equity through DIYing renovations and personalize your home so it suits you better. But remember, it’s not as easy as it looks on HGTV. So if you’re not willing to put in some hard work, think twice about buying a fixer upper. Would you buy a fixer upper (or have you already)? ?